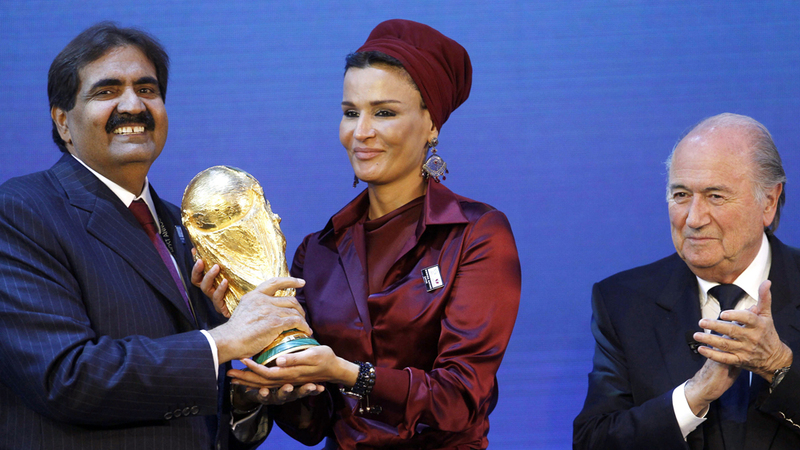 One of the world’s best-known political operatives offered to work on a campaign to cancel the 2022 Qatar World Cup, according to documents seen by the Guardian newspaper. Sir Lynton Crosby, a UK-based Australian political strategist, personally signed the pitch that aimed to tarnish Qatar’s reputation to get football’s biggest event awarded to another country, the Guardian reported on Sunday. Crosby requested the equivalent of $6.4m payable to his lobbying firm, CTF Partners, for a campaign “that would associate Doha with terrorism in the minds of the public”, according to the report. His services would also include putting pressure on FIFA to “restart the bidding process”, said Crosby. The document named “Project Ball” said CTF Partners could set up full-time war rooms around the world to spread negative stories about Qatar in the mainstream media, run fake grassroots campaigns on social media, and lobby potentially friendly politicians, journalists and academics. According to the article, his potential client was “a self-styled Qatari opposition leader based in London named Khalid Al-Hail”. “Al-Hail has faced repeated questions over his funding and the nature of his campaign activities in London, which include his businesses paying MPs and prominent football players to appear at anti-Qatar events,” wrote the Guardian. The news report cited Crosby’s lawyers as saying no contract with Al-Hail was ever entered into and none of the work outlined in the proposal was undertaken. CTF Partners confirmed to the Guardian it provided Al-Hail with “a minimal amount of media advice” during last year’s state visit to London by Qatar’s Emir Tamim bin Hamad Al Thani. “During this visit a PR company that had previously worked with Al-Hail made a disastrously farcical attempt to pay hundreds of actors to protest outside Downing Street during the emir’s visit to see Theresa May,” the Guardian reported. Crosby did not respond to the publication’s request for comment on claims his company also provided PR support for Saudi Arabia’s Crown Prince Mohammed bin Salman during his state visit to the United Kingdom last year. The quartet accuses Doha of supporting “terrorism” and seeking closer ties with Iran, accusations Qatar vehemently denies.